Most vacuum pump hardware is made from stainless steel or aluminum because of those materials’ strength and gas non-permeability. A perfect vacuum is a space in which no matter is present. No perfect vacuum exists in reality, and no machinery can create one. But industrial vacuum pumps can achieve varying degrees of artificial evacuation for uses in many industries and applications. 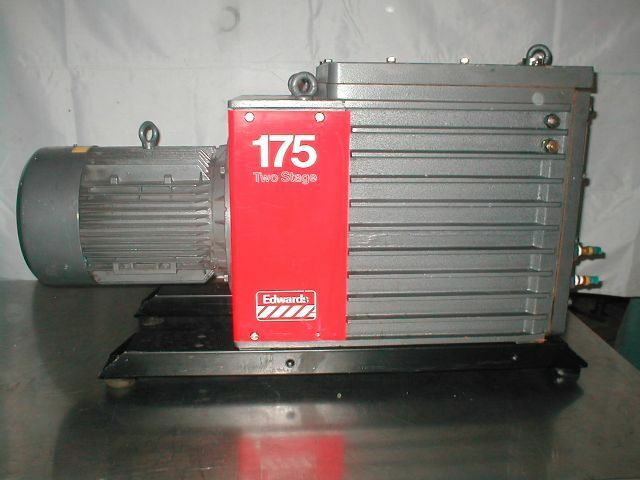 Vacuum Pump Systems – Vac-Tech, Inc.
Low vacuums, which are partial vacuums with relatively high levels of residual atmosphere, can be created by small vacuum pumps for light industrial tasks. Many light bulbs, for example, must be partially evacuated or filled with an inert gas in order to function. For many other applications, though, higher degrees of evacuation are necessary. In laboratory applications, high-tech electronics fabrication and some contexts in the healthcare industry, vacuums with very low levels of atmospheric pressure can be necessary. High and ultra high vacuums are necessary for creating these kinds of vacuums, and in some cases, a series of vacuum pumps may be connected to the same inlet line. There are three main categories of vacuum pumps: positive displacement, momentum transfer and entrapment pumps. Positive displacement pumps expand one part of a vacuum chamber while collapsing another; this compresses the gas inside and causes it to be evacuated. Momentum transfer pumps facilitate repeated collisions between gas molecules and rotors or steam jets that impart momentum and direct the molecules out of the chamber. Entrapment pumps use condensation created by rapid heating and cooling to compress and trap gas molecules in a solid or absorbed state. Each pump variety can be used in conjunction with another to create vacuums of varying pressure levels. For example, a positive displacement pump, an absorption pump and a momentum transfer pump could be used to bring pressure down from 760 Torr to as low as 10 Torr (1 Torr is equal to the fluid pressure exerted by 1 mm of mercury at sea level). Within those three vacuum pump categories, all vacuum pumps can be categorized as either wet or dry. If the vacuum uses oil for lubrication or a ring of liquid sealant, that system is considered to be a wet system. Dry vacuum pumps are systems that make no use of any liquids at any time. Vacuum Pump Systems Vacuum pump systems are devices or series of machines used for the creation of a vacuum in an enclosed space. In addition to the pump itself, many gasket seals, flanges, valves, couplers, gauges and other accessories are necessary to maintain a reliable seal.